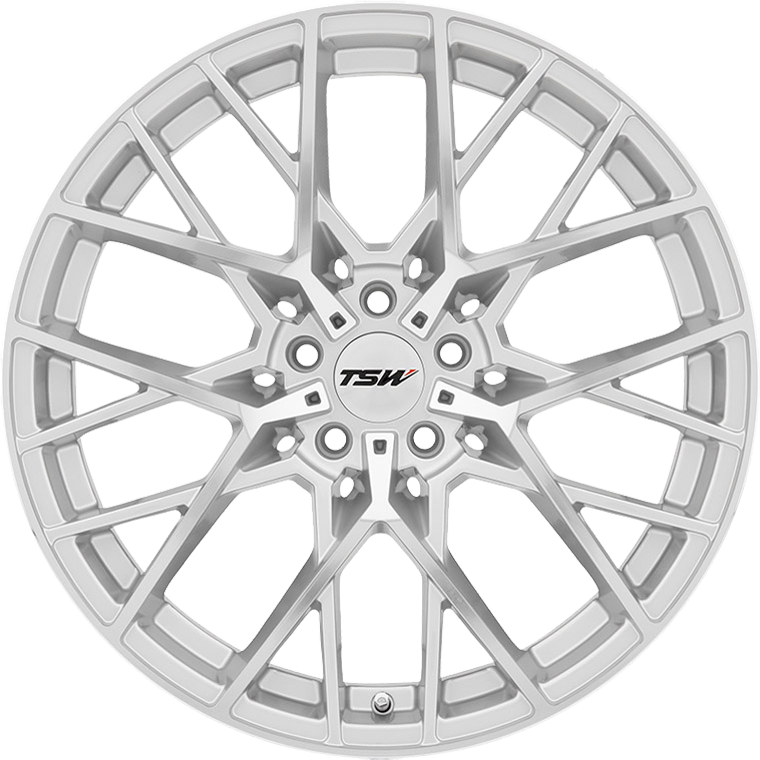 The Sebring custom aftermarket alloy builds a new dynamic trend featuring a wheel behind a wheel look. The Sebring custom aftermarket alloy builds a new dynamic trend featuring a wheel behind a wheel look. Previously non-manufacturable, TSW had to work closely with engineers for months until every corner of the Sebring was at just the right angle to be casted into metal without sacrificing aesthetic qualities. Two split five spoke designs overlap combining into a three dimensional mesh pattern. Each spoke is angled just enough to create sharp edges posturizing a truly refined look on the custom wheel. The Sebring is available in sizes from 17x8 up to 20x10 finished in Titanium Silver and Matte Black.